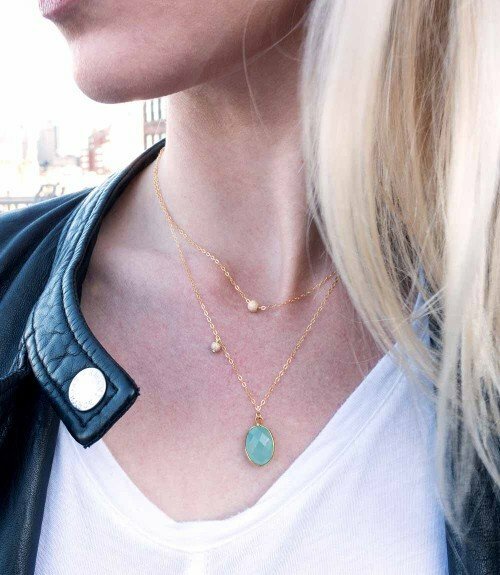 This Felicity necklace design includes a lineup of some of our favorite semi-precious gemstones. 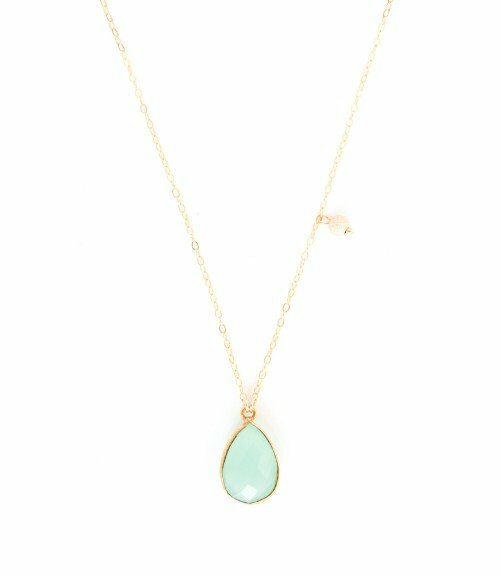 The focal stones include a round Aqua Chalcedony stone in a 24k plated bezel and a long lariat pendant finished with an oval Labradorite also in a 24k plated bezel. Round gold beads, Silverite and Pyrite stones sparkle at the bottom of the lariat and are one of our favorite parts of this beauty. This feminine, eye catching necklace, is the perfect way to dress up a simple white blouse. *Shown on model with the Felicity Lariat in Prehnite & Pyrite found here.